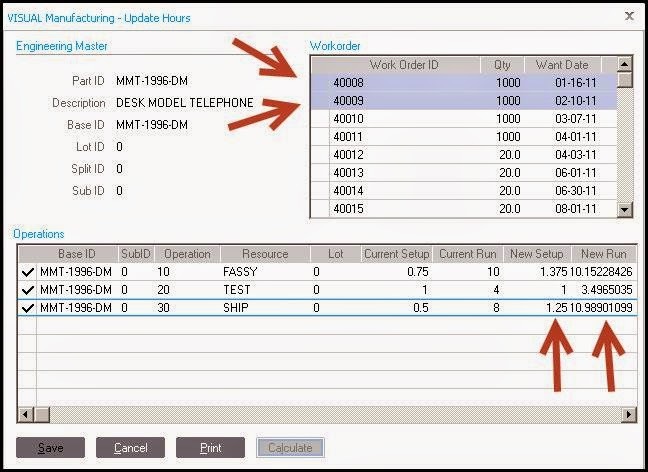 Often, the hours in a company’s Engineering Masters are less accurate than the time being recorded on the work orders. 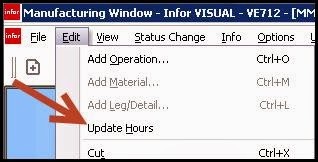 You can easily move the recorded labor hours from your Work Orders into your Engineering Masters in Infor VISUAL and provide better cost accuracy. 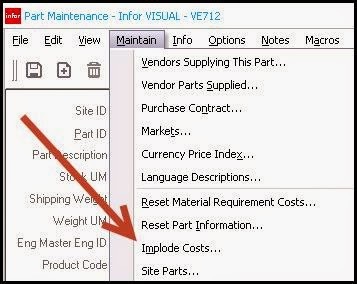 Open the Manufacturing Window in VISUAL and the open the Engineering Master you wish to update(You must have an engineering Master open to continue). From the EDIT menu, select UPDATE HOURS. 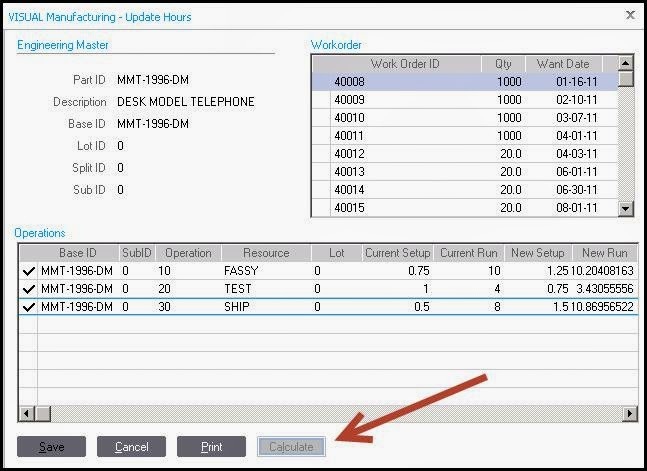 A new Window will now display that lists work orders that were created using the engineering master. On the right, select the work order you wish to use to update the engineering master. Hit the calculate button to see the New Setup and New Run. Hit SAVE to save the updates. You can also use multiple work orders to generate the new hours! Please see the examples below. 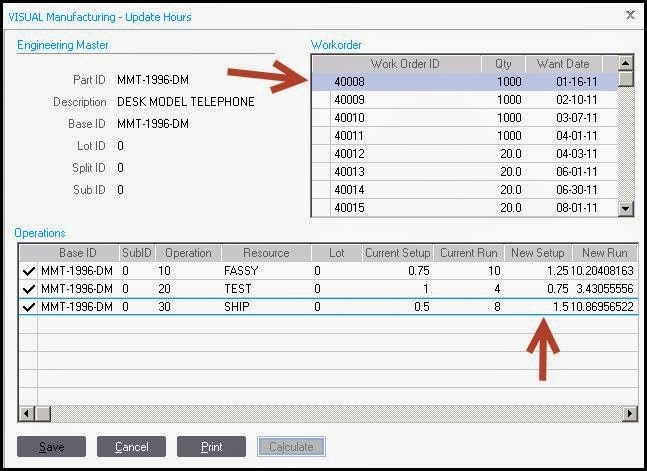 As you can see, the calculated totals are the average of Work Order#1 and Work Order #2.